Dr. Grant is the Founding Director of the Fetal-Neonatal Neuroimaging and Developmental Science Center at Boston Children’s Hospital. She holds a Master of Science degree in physics and an MD from the University of Toronto. Dr. Grant headed the Division of Pediatric Radiology at Massachusetts General Hospital for five years before moving to BCH where she was named the first incumbent of the Boston Children's Hospital Chair in Neonatology. The FNNDSC was started in 2009 and is focused on developing and optimizing tools and analysis streams for better understanding normal and abnormal brain development with the goal of improving cognitive and neurological outcomes. 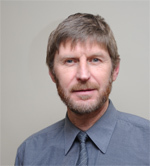 Professor Hawkes has over 40 years’ experience in medical imaging research, both hospital based and in academia. His first degree was in Natural Sciences (Physics) at Oxford (1971 – 1974), with an MSc in Radiobiology from Birmingham (1975). He studied for a PhD in X-ray CT from Surrey and the Institute of Cancer Research (1978 - 1982) where he worked on one of the world’s first whole body CT scanners. He spent 6 years as a clinical scientist at St. George’s Hospital, Tooting before being appointed Senior Lecturer at UMDS, Guy’s Hospital in 1988. He formed and led the Computational Imaging Sciences Group (CISG) from 1988 to 2005. He received a personal chair at the University of London in 1998 and became the Chair of the Division of Imaging Sciences at KCL in 2003. He moved to UCL in 2005 and founded the UCL Centre for Medical Image Computing which he led from 2005 – 2015, growing it from 30 researchers to over 100, with 14 academic staff and a research income of over £5M per annum. His main research interests encompass image reconstruction, image matching, data fusion, visualisation, shape representation, surface geometry and modelling tissue deformation with applications in image guided interventions and using medical imaging as an accurate measurement tool and biomarker. He is author or co-author of over 350 peer reviewed scientific publications. His H index is 68 and his work has been cited over 26,000 times (Google Scholar). He has supervised 32 PhD students to completion. He was awarded the “The Crookshank Lecture and Medal” in 2008 by Royal College of Radiologist and gave the “Wilhelm Conrad Roentgen Honorary Lecture” at the European Congress of Radiology in Vienna in 2006. He co-founded IXICO plc (listed on AIM in 2013), was Founder-Director from 2005-2008 and advises several other start-ups. He was elected FMedSci in 2011, FREng in 2002 and FInstP in 1997. He became an NIHR Senior Investigator in 2009. He received the MICCAI Enduring Impact Award in 2016. Dr. Hargreaves is Associate Professor of Radiology at Stanford University, with a research focus on body magnetic resonance imaging (MRI). He completed his PhD at Stanford University in Electrical Engineering before moving to the Radiology Department in 2005. He directs the Body MRI research group, which develops and implements new MRI techniques for breast, abdominal, and musculoskeletal imaging, with the goal of improving patient care. Many of his group's methods are used clinically, both at Stanford and around the world. 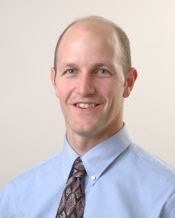 Dr. Hargreaves teaches two graduate level courses in MRI. He is a Fellow of the International Society for Magnetic Resonance in Medicine, where he also serves as chair of the Web Editorial Board. 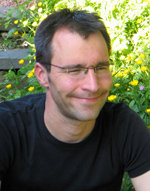 Gedas Cepinskas, DVM/PhD is an Associate Professor at the Department of Medical Biophysics, Schulich School of Medicine & Dentistry, Western University, and a Director at the Centre for Critical Illness Research, Lawson Health Research Institute, London, ON, Canada. Dr. Cepinskas’s research is focused on the initiating and regulatory mechanisms of severe inflammatory conditions (e.g. sepsis, traumatic brain injury, compartment syndrome), and ischemia/reperfusion injury at organ/cell levels. In particular, diagnostic/prognostic markers of systemic inflammation, inflammatory activation of leukocytes and vascular endothelial cells, and leukocyte-endothelial cell inflammatory interaction in various organs are the prime subjects of his research. In addition, the use of novel approaches (e.g. carbon monoxide-releasing molecules; CORMs) to treat inflammatory conditions, are extensively studied in his laboratory. Jörn Diedrichsen is a Wester Research Chair in the Brain and Mind Institute at Western University, and Professor for Statistics and Computer Science. His laboratory studies cerebellar function and motor control and motor learning in the human brain. He has also developed a number of novel of multivariate analysis techniques for functional imaging data.